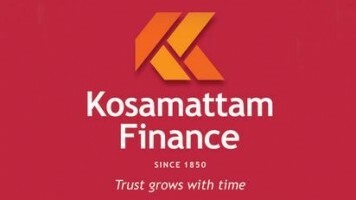 (i) Kosamattam Finance Limited, incorporated in 1987, Kosamattam Finance Limited is one of India’s NBFCs engaged in Gold loan business. They lend money against the pledge of household gold jewellery. They have a diversified presence in the states of Kerala, Tamil Nadu, Karnataka, Andhra Pradesh, Delhi, Maharashtra, Gujarat, and Telangana, along with the Union Territory of Puducherry. (ii) The Gold Loan portfolio for the financial years ending on March 31, 2018, March 31, 2017 and March 2016 comprised of 6,47,779, 5,57,478 and 4,79,540 gold loan accounts, aggregating to 2,05,050.99 lakhs, 1,73,040.27 lakhs and 1,31,224.42 lakhs, respectively, which is 91.56 %, 90.03 % and 89.12% of the total loans portfolio as on those dates. As on June 30, 2018, they had a network of 923 branches spread in the states of Kerala, Tamil Nadu, Karnataka, Andhra Pradesh, Delhi, Maharashtra, Gujarat and Telangana along with the Union Territory of Puducherry and they employ 3,214 persons in the business operations. (iii) They belong to the Kosamattam Group led by Mr. Mathew K. Cherian. They are headquartered in Kottayam in the state of Kerala. The Kosamattam group was originally founded by Mr. Chacko Varkey (also known as Mr. Nasrani Varkey). His great-grandson, Mr. Mathew K. Cherian, the present Chairman and Managing Director of Kosamattam Group is a fourth -generation entrepreneur in the family. Under his able leadership, our Company is emerging as a prominent Gold Loan business company with 923 branches, as of June 30, 2018, largely spread across southern India. (iv) This NCD is a combination of Secured NCDs for a value up to 25,000 lakhs and Unsecured NCDs for a value up to 3,000 lakhs within the overall limit of `25,000 lakhs. Objective of Kosamattam Finance Limited NCD are: 1. Raise Funds for the purpose of onward lending and for repayment of interest and principal of existing loans. 2. General Corporate Purposes. Issue Size: ₹ 250 Cr. India Ratings and Research Private Limited assign the following debt rating to KFL.- " IDB BBB"- Outlook Stable Conclusion: The rating of NCDs by India Ratings indicates that instruments with this rating are considered to have a moderate degree of safety regarding timely servicing of financial obligations. Such instruments carry moderate credit risk. No QIBs yet in Kosamattam Finance Limited NCD. Looks like no interest from Financial Institutions. Retail Investors can apply up to 5 lacs.